The New Moon Solar Eclipse in sturdy Taurus is sure to trample some of what you had thought was rooted in your garden of creation. Trust the process and surrender to the power that is! A pair of eclipses shakes up the energy this month. When the dust settles a new foundation is laid as a result of the New Moon Solar Annular Eclipse in Taurus today, May 9. This eclipse is an opportunity to view areas of inertia in our lives. Later this month the Lunar Eclipse during the Full Moon takes us on an escapade in Sagittarius the wanderer’s sign. If you are a lover of travel I suggest you update your passport now so you are ready for the offers when they are flung into your path. I have already sent mine in! Mars and Mercury are in tight conjunction with today’s New Moon Solar Eclipse. This is sure to change the look of your daily life. What you are driving at and quite possibly driving is indeed shifting for the better. Likewise the ways you speak and articulate your thoughts are also upgrading. In addition, the Goddess Venus floats into Gemini, the sign of the twins today. While she hovers in the wispy local of Gemini the veil of secrecy is blown off of subjects that had been hidden by you, or masked from your view. Take care to keep things clean and do the necessary tidying if you do not want to have a big mess to contend with. Both Mercury and Gemini are known for their trickster natures… I’m just sayin’! May 15 The trickster himself, Mercury, swoops into his home sign of Gemini joining them. His homecoming visit to the sign of the twins gives us a second chance to go over recent documents and communication. If you want to change the tone, this gives you the opportunity to catch any mistakes. Be bold and go for the modifications that you see are helpful and necessary. Those of you who juggle many tasks at the same time can call on this divine pair to assist in getting all of it done in a timely fashion. The Sun also swoops into Gemini May 20, taking the edge off of any recent ego based decisions. Attention is whisked back to the imagination process in a much needed opportunity for editing and reformatting. You may even be able to finally persuade a special someone to see the other side of the coin. Be gentle and patient in your mild coaxing. The third in our present progression of eclipses is May 24. This is a Full Moon Appulse Lunar eclipse in the idealistic sign of Sagittarius. Lunar eclipses herald the conclusion of events and completion. Indeed the ancients watched a great deal of what they had grown attached to disappear. This is partly why the lunar eclipses were feared. I suggest you use it as opportunity. Sagittarius, the centaur loves to travel and is in constant search for truth. Neptune forms a square to the event creating a mist of obscurity from his home, the watery realm of Pisces. Good luck with trying to figure out what is behind the welling in your eyes and heart. Just dive headfirst into the feelings. Buy an extra box or two of tissues. You can’t wiggle out from under this one. The good news is that you begin to feel deeply inspired. Take care as there is potential to be led astray. Take extra time and place additional attention in your evaluation of all situations. This helps to avoid embarrassing confusion. Mercury dives into the sign of Cancer in the wee hours of the early morning long before dawn May 31—remember I am writing in EST—please adjust your time accordingly—causing even more emotions to bubble and flow. Be extra gentle with yourself and others. This is a great time for gooey love sonnets and gifts given in secret. If your mind is needed for more mundane actions, take a lot more time for revisions. The messenger has an extended stay here due to a retrograde coming up which begins June 26 and lasts through July 20. The Messenger finally moves beyond the initial starting point of 23° Cancer on August 3. This means there are many waves of feelings and discussions that are about to take place over the next few months prepare yourself! Also on May 31 the Warrior Mars leaps into Gemini joining the others. When he does, he brings a great infusion of energy that is useful for getting your jobs done. A warning: Be sure to take extra time to watch your quality control. This goes for all personal tasks as well as those done at your work-place. June 2, Venus slides into Cancer which is good news for those of you seeking relationships or already in love. Everything begins to take on a rosier hue as communications soften and become sweeter. Just take care to stay secure and self-reliant. Remind yourself that you are indeed autonomous and able to do things on your own! Overall, this is a great month to sow the seeds for your future into the fertile ground of your psyche. Just like all gardens, these new growths will need to be nurtured, fed and loved. Be patient as they take root and grow into your brilliant future! Aries March 19/20 to April 20/21. Let what seems interestingly lustrous just be. Soon it loses the sparkle and pop then appearing rather dull. When the gusto fades you are left in confusion. Do your best to stay in the moment. It is fine to enjoy the fun while it lasts. Just beware to remain unattached as there is no way it can last. None of your future plans are confirmed. Give in to the fluctuations and do your best to stay focused on what is clearly working out for your benefit. Today’s Solar Eclipse is in your 2nd house. Many new people, places and things come to you and this flow continues through autumn. Carefully make choices that increase your ability to pay attention and give you returns on your investments. 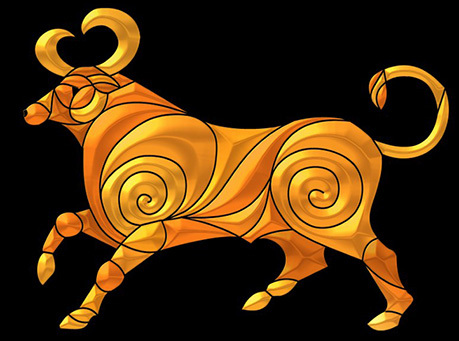 Taurus April 20/21 to May 21/22.You must go back through your belongings and feelings and redo your spring cleaning. Your effort to hold on to that which is good and right as well as what you feel is near and dear to you has prevented you from letting go of the rot and decay no longer needed. Get it together and get the clean-up done. You are the sign most likely to have ease in the present moment. Let this tidying be dedicated to clearing space both physically and energetically to make this easier. Today’s Solar Eclipse is in your 1st house. This is your opportunity to transform the way you appear to others. Set the new healthier habits in motion. Sign a contract with yourself. You can do it! Gemini May 21/22 to June 21/22. You feel light and breezy and easy. Unfortunately this comes off as mischievous to onlookers. Get a better grip on the rheostat of your energy field. You are destined to partake in a lot of fun activities over the coming weeks. Please do your best to keep one foot in the realm of reality. Your tendency is to gloss over what works best in the long-term. A new love is floating in for those of you who are single. Just be extra careful to fully evaluate the prospects! Today’s Solar Eclipse is in your 12th house. Retreat into the world of dreams and inspiration. The coming months bring the opportunity to expand your field of imagination. It is not time to present these ideas just yet. Cancer June 22/23 to July 22/23. Still water runs not only deep but in your case, turbulent. Enjoy the smooth surface without expectation that the many fathoms below are equally calm. It is very important for you to stay positive now. Optimism is the key to your wellbeing and health. New jobs are on the horizon and continue to shift the sands of your world. This began last year on your birthday. Take advantage of a new found freedom of expression. Today’s Solar Eclipse is in your 11th house. Go out and join new groups. It is time to form new friendships and alliances. Be sure they feel right before saying yes to the offers. Leo July 22/23 to August 23/24. If your situation involves planning a tunnel out and sneaking away, I suggest you slow down and really think this through. At first you just want to bolt. Then you start to scheme. Let’s not even think of where all of that leads. Instead, slow down and walk your mind through it. True, you are indeed ready for a big change. Just go easy on the moves you make at this time. Today’s Solar Eclipse is in your 10th house. The good news: Go for the new proposal that brings a salary increase or new contacts. This is your time to set your standards higher. The challenge: it very likely takes a good six months before you see the changes take action. The advice: Patience! Virgo August 23/24 to September 23/24. You are packed with great ideas of how to better manage your finances and business. Do your best to appease the current sense of urgency as you stay true to your nature. Allow ample time to analyze and weigh out the entire scenario. I am not saying hesitate, but rather suggesting you thoroughly think it all through. Today’s Solar Eclipse is in your 9th house. Look to the spiritual realm and beyond the boundaries of your living quarters. If you love to travel, begin to plan the next adventure. 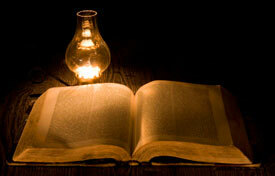 If your idea of upliftment is more transcendent, by all means get back into the rituals that sooth your spirit. Libra September 23/24 to October 23/24. You have done your best waiting for the current relationship to teeter into being right. Now it is time to say thank you to the many lessons you have learned. You cannot teach this old dog any new tricks. Once a little space comes between the two of you, it will be easy to find gratitude for the goodness you gained. Indeed, it is time to move on. Scorpio October 23/24 to November 22/23. New contracts and agreements are in order. During the negotiations please keep in mind that communication must flow in two directions at once. You are scurrying around looking at new modes for income to restore recent financial strain. The great news is that anything you touch turns to gold! So, say yes to all of the new projects coming your way. Today’s Solar Eclipse is in your 7th house. New relationships, new contracts and new commitments are all part of the next six months. Say yes to all that feel right and you are sure to come out amazingly abundant! Sagittarius November 22/23 to December 21/22. Create clarity and order in all of your current projects. It is time to take a good hard look at all of your habits and systematically clean them up. At first you find yourself wanting to jump ship and give up. Things become easier when you partake in light social get-togethers. Be kind to yourself and the sweetness reflects onto others. This all works in your favor. Today’s Solar Eclipse is in your 6th house. Practical functions of mundane necessities are of the utmost importance. Do all you can to make positive changes for your health. This in turn affects all aspects of your daily life. Capricorn December 21/22 to January 20/21. Love is in the air! Relax—this is equally the love of self as much as it is of another. You are in an expansive, optimistic phase. Go outside your box and express your playful side. Though you normally like everything clean and precise, now it is fine to be unfinished and in progress. When things feel risky you are perfect. The ground continues to stretch out in changing textures. This is an opportunity to get into a whole new experience of the process and ignore the idea of a completed product. Give in—this lasts more than the month! Today’s Solar Eclipse is in your 5th house. People places and things give you a wobbly feeling. Deal with it by constantly tapping into the sector of your head and heart set aside for acceptance. Aquarius January 20/21 to February 18/19. It is hard to stay grounded in your work and your relationships. Travel alone is a good medicine as long as you can keep to yourself. You feel uncontrollable urges to flirt. This can get you into a lot of trouble. Unleash your unconventional wild urges in safe places where you can keep the edges in check. If you cross boundaries sparks are sure to fly. These then turn in to wild fire and do permanent damage on what is near and dear to your heart. Be responsible! Today’s Solar Eclipse is in your 4th house. If you feel like a change of scene, go to visit your roots and relatives rather than unknown internet friends. The later only gets you in a heap of trouble! Pisces February 18/19 to March 19/20. You have a slew of infinite possibilities flying at you. This is overwhelming. There are indeed choices but you must decide. Do you hide? Do you run? Do you sort through it all? Notice how these are all decisions? What would it look like if you made a choice? Choices come from the center of our hearts and just are. Now that you understand this, go out there and do it just because you are going out there and doing it! Today’s Solar Eclipse is in your 3rd house. It is time to understand the smaller print in your dealings with others. In return you must develop your own new rules and learn to state them clearly. This gains the respect of others. I am so very grateful!Thank you so much for sharing this link on your pages. I am your girl of the stars, Chica de las Estrellas and have been a working Astrologer since 1974 when I was a child. I have a degree from NorthStar College of Astrological Studies in Tropical Astrology and have been featured as a relationship expert on the Learning Channel. In additions I have consulted for companies including IBM and the J.W. Marriott. Contact me for consultations including relationship, career, health and finding your path in life. Emailed reports are $20. Topics include, Modern overview of your Natal chart, Dynamic Relationships, Your Zodiac Child, Health and Well-being, Dynamic Transits, Solar Returns, Goddesses, Kindred Spirits, Vocation, Angels, Classical, the ancient Art of Medicus and a Fixed Star Report. Ambika Devi has been a working Astrologer since 1974 when she was a child. Earning a degree from NorthStar College of Astrological Studies in Tropical Astrology, Ambika Devi has been featured as a relationship expert on the Learning Channel and has consulted for companies including IBM and the Marriott. In 2010 elements of Jyotish, the art of Indian Astrology was added to her repertoire. 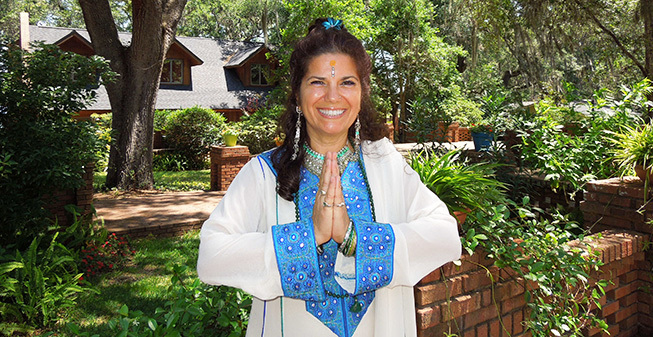 Ambika Devi believes the way to honor our connection to the Earth Mother is through our sadhana, our daily practices. She teaches that to be inspired in our expression we must begin with our breath. Her favorite way to do so is through the practice of Mantra. You can reach Ambika Devi at: ChicadelasEstrellas@Gmail.com y por favor. Visit: www.ChicadelasEstrellas.com. This entry was posted in Ambika Devi Cosmic Astrologer, Astrology, Invincible Music Blog. Bookmark the permalink.